Why reading is important for babies and young children. Help your child get to know sounds, words and language, and develop early literacy skills. learn to value books and stories. spark your child’s imagination and stimulate curiosity. help your child’s brain, social skills and communication skills develop. An easy-to-read article giving reasons for reading to your children from babyhood upwards. 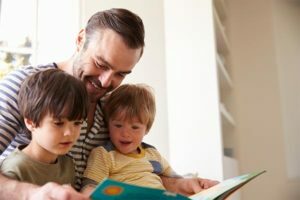 It also gives ideas for different ways to read and tell stories, and has links to age-specific articles, with examples of relevant books that you can read to your child. This entry was posted in Confidence, Self esteem, Speech Develepment by etal. Bookmark the permalink.